If you’re in the market for a luxurious sports-car inspired crossover, then look no further than the 2015 Infiniti QX70. Checking all the necessary tech boxes as well as drivability and practicality, the QX70 is a well-rounded vehicle that’s sure to please. While there are only two versions of the Infiniti Qx70 available, that’s enough to offer exactly what buyers will want from a vehicle in this segment. The robust and responsive 3.7L V6 churns out 325 horsepower and 267 lb-ft of torque, which is just the right amount for a vehicle of this size and stature, and keeps things sporty on the road as well. Outfitted on both QX70 models is an electronically controlled 7-speed automatic transmission that features Infiniti’s Adaptive Shift Control as well as Drive Sport mode. There is also a fantastic feature in the QX70: a driver-adaptive learning algorithm that senses driving style and adjusts gear shifts accordingly. The QX70 also features downshift rev-matching and has manual mode shifting. All in all, driving the 2015 Infiniti QX70 is more like driving a car than a crossover that features over 700 litres of cargo space and the ability to tow up to 3,500lbs. The 2015 Infiniti QX70 is only available with Infiniti’s intelligent AWD and features vehicle-speed sensitive power steering to help keep things under control when the road conditions turn nasty. Inside, the 2015 Infiniti QX70 features all the latest in high-tech gadgetry including Bluetooth, a 7” or 8” colour information display (depending on model selected), rearview monitor, available all-around video monitor with Moving Object Detection, as well as Front and Rear parking sensors. And, of course, all the necessary creature comforts are there, including available leather seating, heated and cooled front seats, reclining rear seats, Bose 11-speaker premium audio system, USB connectivity, and keyless entry and start/stop button. 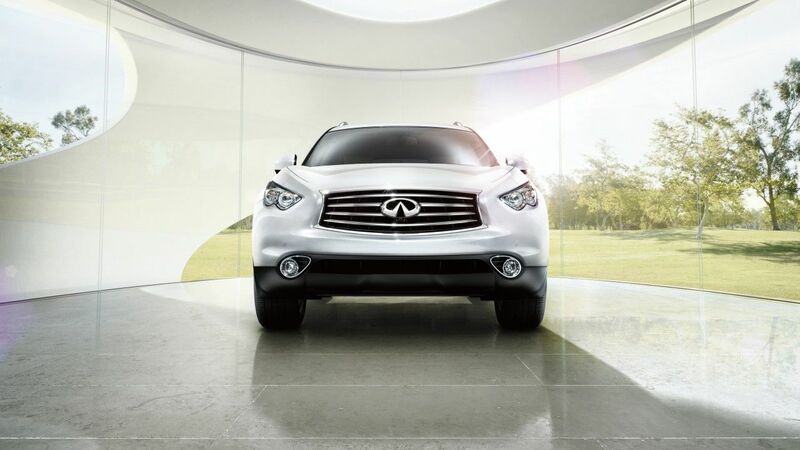 To fully experience everything the 2015 Infiniti QX70 has to offer, make sure you stop by Morrey Infiniti to book your test drive today.